No Fault divorce is edging closer to happening following publication by the Ministry of Justice of its consultation “Reducing family conflict” to reform the legal requirements on divorce. The consultation runs from 15th September until 10 December. The Government proposes to reform the divorce process to shift the focus from blame and recrimination to supporting adults to better focus on making arrangement for their own and their children’s future. 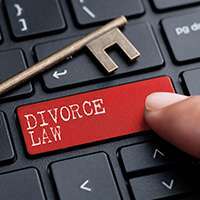 To deliver this, the Government proposes to remove the requirement to allege “fault” by removing the need to justify the reason for the irretrievable breakdown of the marriage and the ability of a spouse to contest the divorce. The conclusion by one spouse that the marriage is over would be respected. The intention is to also prevent the divorce process itself from enabling an abusive spouse to exercise coercive control over the other. The consultation seeks views on (a) how best to reduce family conflict and strengthen family responsibility; (b) the length of the divorce process and the period couples should have to reflect on the decision to divorce and to make arrangements for the future where divorce is inevitable; and (c) whether provision should be made to enable a couple to jointly request a divorce where this is a shared and considered decision. The Government also acknowledges that any future change on how the court can make financial orders should be founded on a revised legal process in which the potential for conflict has been minimised. “The announcement of this consultation is a welcome step towards No Fault divorce but this change needs to take place sooner rather than later. Family lawyers have long known the stress and upset caused to families by having to set out details of unreasonable behaviour. This would be removed by the proposed new law. Enabling couples to get out of an unhappy and loveless relationship without attributing blame provides them with the opportunity to lead independent lives at the appropriate time once the relationship has irreversibly ended.